Pinterest is so popular these days and after looking at the "Food" section it reminded me of one of my old favourite foodie websites - Tastepotting. 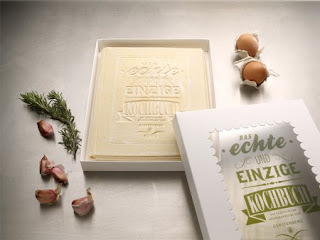 Which is basically online collection of food, recipes and cool things about food. And today was no different, I found an article with pictures of a cookbook that you can use to read, cook out of and then, get this, EAT! 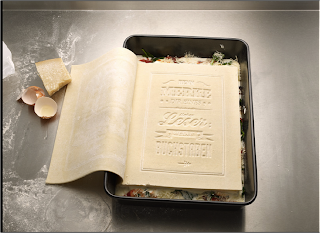 Made out of 100% fresh pasta, it can be opened, filled page by page with the ingredients you wish and then finally cooked. 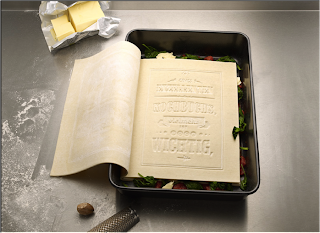 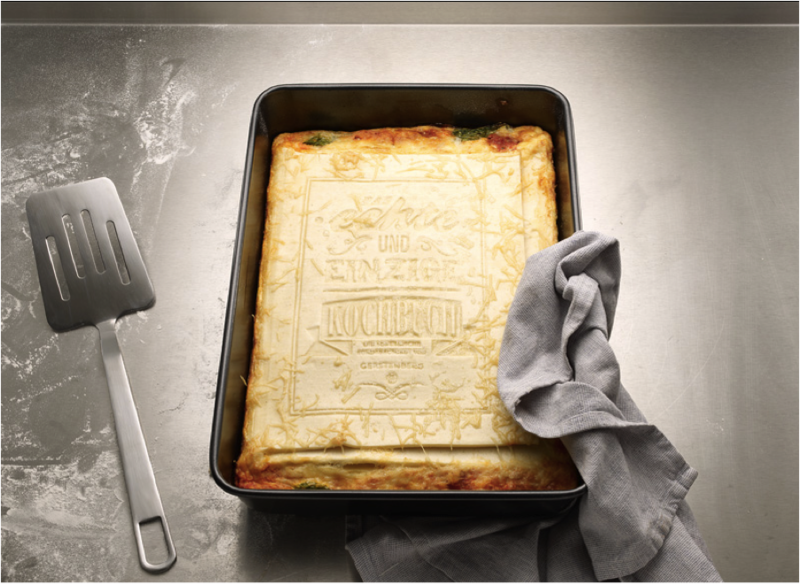 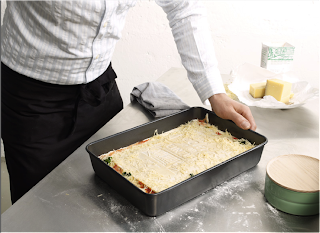 It is designed and packaged to become a classic lasagne and was devolved as a pilot project for the Gerstenberg Publishing House (they produce hight quality culinary & art books) based out of Germany. 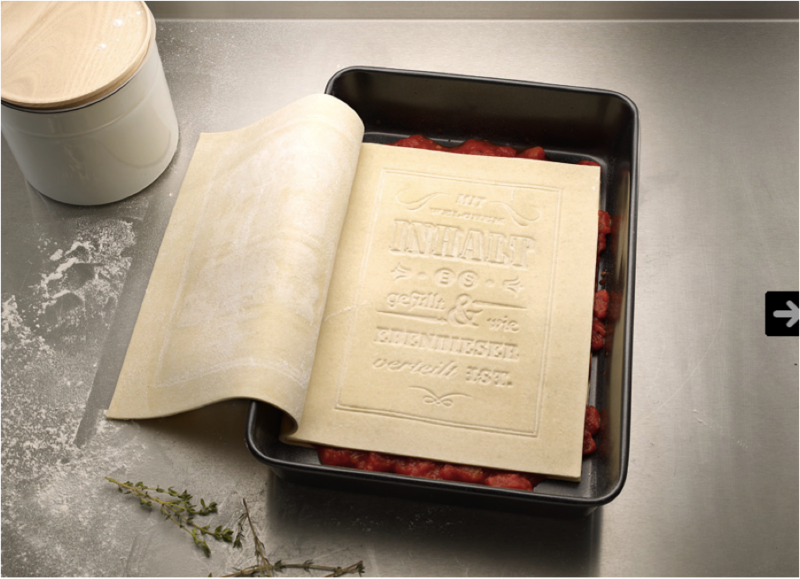 Check out the pictures, I think this is just too crazy and neat!